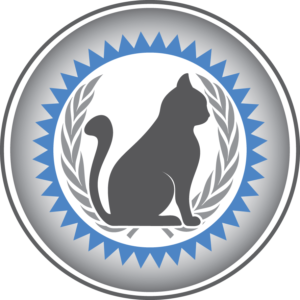 If you haven’t become a Member of the National Cat Groomers Institute, click here for more details. Member Benefits login – this is where you will find over 40 hours of recorded seminars, magazine archives, articles, client hand-outs, NCGI Logo files, and much more. The course “Member Benefits” should appear in your Learning Library. Membership Renewals – renew membership, CFMG and CFCG certifications by logging in here. Or through the webstore. NCGI Members – this is the private Facebook group for members only. Purchase Products – the NCGI webstore has a variety of online courses, books, DVDs, marketing materials, tools and much more. Members receive discounts on certain products by using the promo codes found in the Member Benefits course (link above). Contact the NCGI office if you are having trouble or have any questions. If you are interested in pursuing your CFMG certification, you have already completed the first step! Find out additional information by clicking here: Become a CFMG. We would also recommend looking into the “Cat Grooming Basics” online course which includes videos, articles, demonstrations, step-by-step tutorials, and more to help you gain a solid foundation in all things cat grooming. Or see our Complete Cat Groomer Training Syllabus which is the most comprehensive cat grooming training program currently available in the world. Let us know if you have any questions, we look forward to working with you!